All contractors or construction companies here in Singapore that wants to bid or propose for public projects must stick to green standards provided by the BCA (Building and Construction Authority) by the end of 2016. Medium and large companies should be Green and Gracious Building Scheme certified so they can be included under the BCA’s registry. 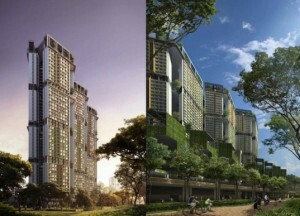 The Green and Gracious Building Scheme is initiated by BCA that seeks to develop a sustainable environment. Many industries welcomed and accepted this initiative. At first, companies can voluntarily join but now, all companies are required to be certified. There are about three hundred firms that will be affected of this new policy or scheme. The Green and Gracious Building Scheme together with the Green Mark Schemes seek to recognise the efforts of engineers, builders and architects in partaking to environmental protection. How can they partake in environmental protection? That is simple. The firms are encouraged to adopt energy saving steps and of course, lessen noise in the construction sites. At the end of the workers, they are encouraged to practice environmental friendly actions like recycling, reusing and reducing of materials, lessening of energy consumption and decreasing of water consumption. The builders are asked to create their own policies and make sure to implement it. Apart from creating and implementing of policies, the companies need to raise the awareness of their workers. Raising of awareness includes briefing sessions, in house assessment, green campaigns and many more. But everything will be in vain if the top management is not serious about its commitment to the environment.